Read 2 times. Last read November 2, 2016 to November 3, 2016. "Noahnoah, promise me something, one very last thing: once your good-bye is perfect, you have to leave me and not look back. Live your life. It's an awful thing to miss someone who's still here." Grandpa is worried about Noah and how he will move on. He has some regrets about the amount of time he spend with Noah's father when he was growing up. He misses his his dead wife terribly and consults her for advice. Through these conversations, we get a glimpse of his former self and the deep love between them. It is both very sad and very beautiful. 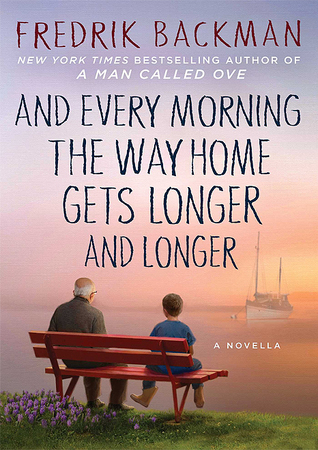 And Every Morning the Way Home Gets Longer and Longer is a perfect December book club choice. With only 96 pages, it's a one-sitting read sure to please even those with the most hectic of schedules. Oh! I'm a big fan of Backman's as well. I'll check this one out!